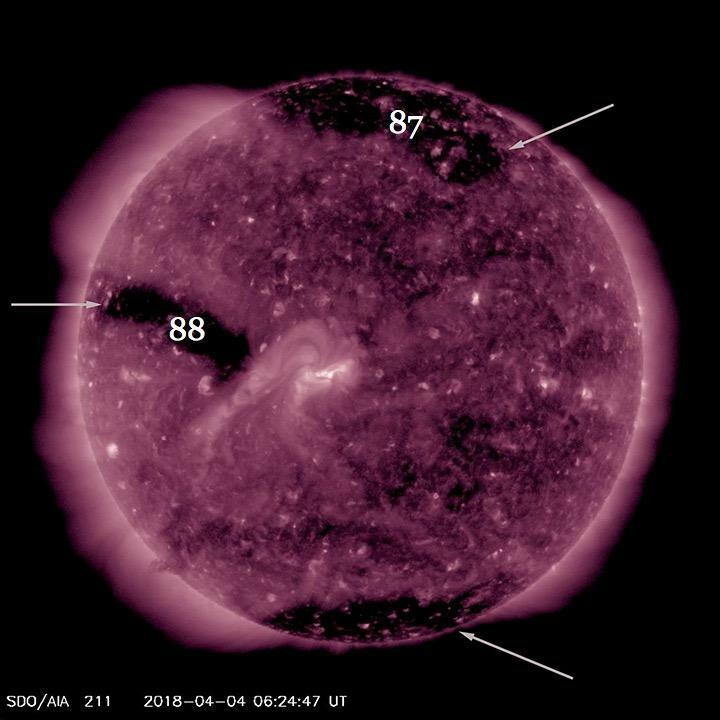 You may not realize it, but a solar storm is slamming Earth today after three coronal holes have opened up on the Sun last week, releasing high-speed solar winds towards Earth. 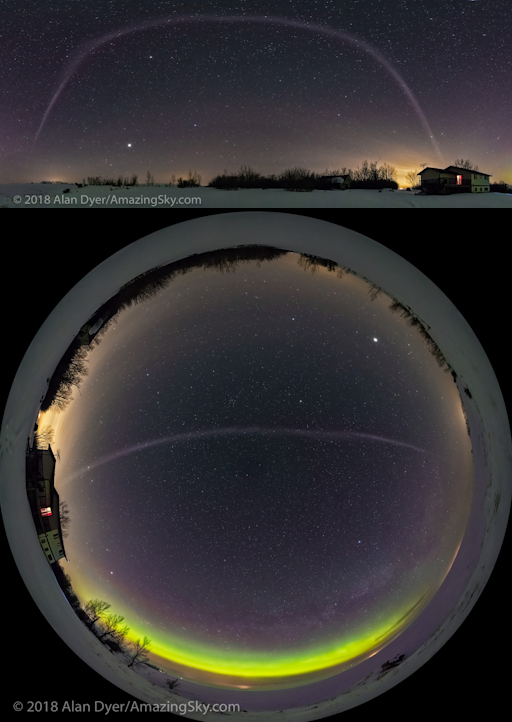 Therefore, residents in the far northern tier of the United States, including Michigan and Maine, may be able to see auroras Wednesday night. The storm may trigger weak power grid fluctuations and can affect marine mammals’ internal compasses. 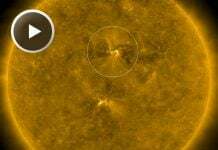 Within last week, three coronal holes have opened on the sun, releasing high-speed solar winds towards Earth. 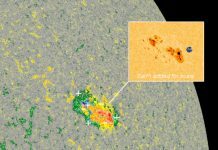 The Space Weather Prediction Center issued a “minor” storm watch for Tuesday and Wednesday “due to the arrival of a negative polarity coronal hole high-speed stream.” This comes on the heels of three solar flares last week. 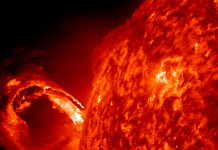 When a hole opens on the sun’s corona, high-speed solar wind rushes into space. 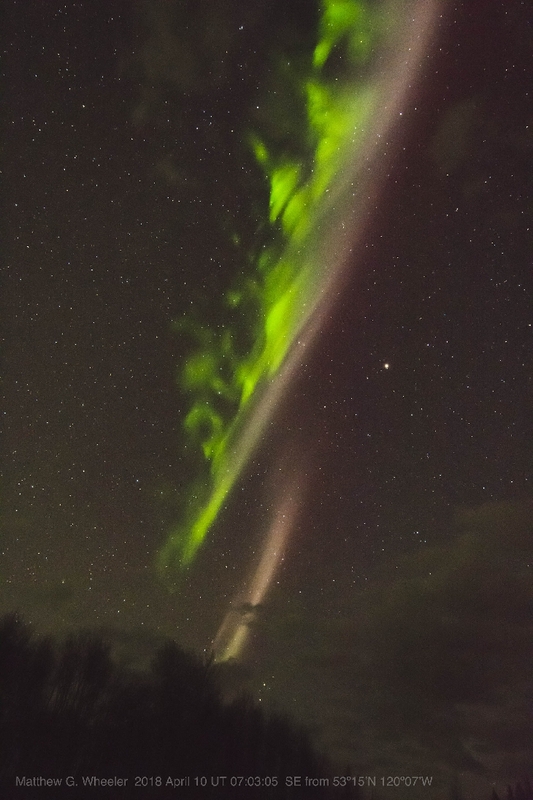 When wind hits the Earth’s atmosphere, it interacts with the planet’s magnetosphere, creating geomagnetic storms and enhanced auroras at the poles. 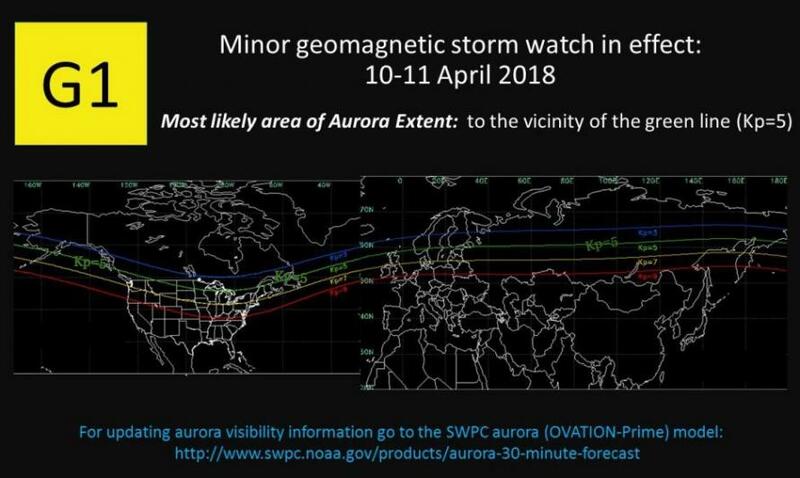 A week geomagnetic storm watch has been issued for April 10-11, 2018. The auroras triggered by Tuesday and Wednesday’s geomagnetic storm may appear in northern Michigan and Maine. The storm may also trigger weak power grid fluctuations and degraded high-frequency radio waves. They can also cause minor damage to Earth-orbiting satellites. Geomagnetic storms can also affect marine mammals’ internal compasses, disorienting them enough to increase the likelihood of beach strandings. 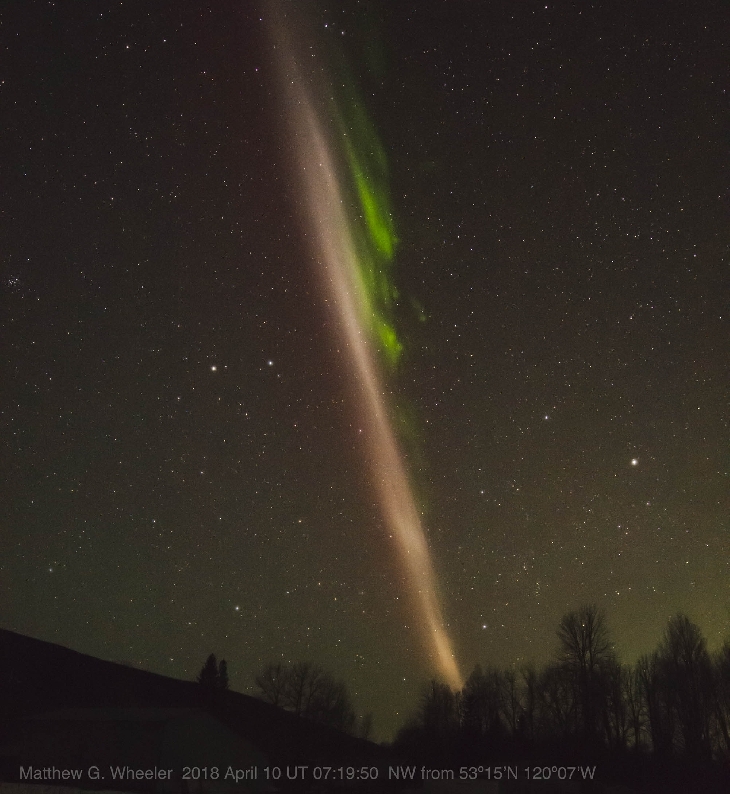 Keep your head toward the sky, you may also see these amazing space weather phenomena! No problem my brother with this. PUBLIC SECURITY SECTION NINE AGENT PROTO SAYS : when that solar wind hits the Earths atmosphere and magnetic field? It compacts it down into the lower atmosphere causing an increase in the density of the atmosphere and magnetic field in some areas on earth. Which weakens other areas on earth especially the South Atlantic Magnetic Anomaly which severely damaged a Japanese satellite in the year 2014. As the Grand Solar Minimum strengthens over the next 2 or 3 years the extreme earth weather will effect us all.